I fell in love with this mug as soon as I saw it. 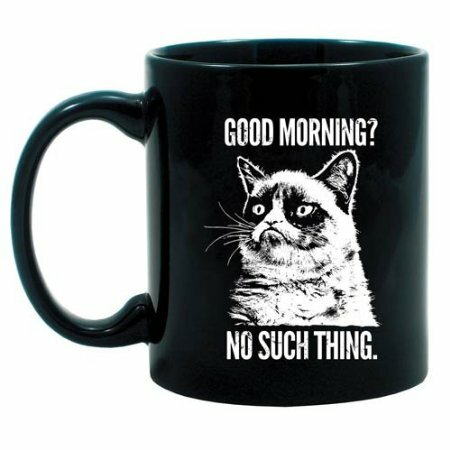 Think this will make a wonderful addition to my ever-growing collection of coffee mugs, especially since it’s Black and has Grumpy cat, two of my favourite things in this world! 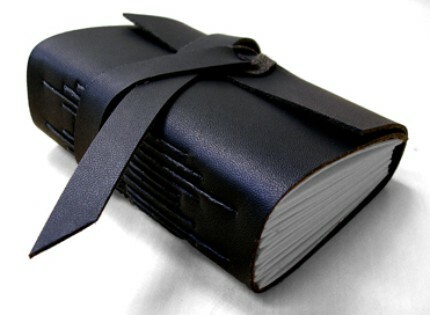 The journal is a bunch of unruled handmade paper stiched together in a black leather binding. Perfect for writing as well as for the times when I get the urge to doodle. The set of pens is my favourite brand, Pierre Cardin, and have black ink, my preferred color for writing. One is a Roller Ball where as the other one is a Ball Pen. The pen holder is also handmade black pottery with clever leather stitches, perfect for keeping my black beauties safe. Now to my daily dose of reading. 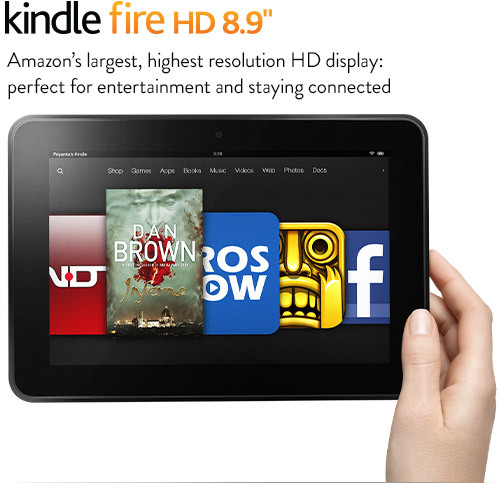 The next thing on my wishlist is the All New Kindle Fire 8.9″ HD Tablet. Isn’t it a beauty? Though I do LOVE my current Kindle PaperWhite and have enjoyed it immensely ever since I got it last December, I miss the colors of the book covers. The new Kindle Fire will make sure I can enjoy the colorful book covers as if I was holding the real book in my hands at the same time keeping me in touch with the Internet. The browser in my Kindle PW is an experimental one and doesn’t let me do a lot of things! This one will keep me well-read as well as connected! Not a deal to let go is it? What are some of the things in your wishlist, black or not?